Linda Condon-Slabaugh is both a registered nurse and an attorney. She has extensive knowledge and experience with medical terminology; anatomy and worker compensations fee schedule calculations for various medical providers. 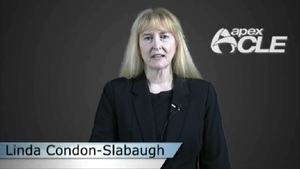 Ms. Condon-Slabaugh is currently a consultant at Viant/Multiplan. Ms. Condon-Slabaugh gives monthly webinars and live power point presentation on various medical topics.